Russian salad is quick and easy to prepare and can be served simply as a salad or it can also be used as a canape filling. If you do not have canapes, you can top toast or crackers with this canape filling making for a quick snack. You can make your own variations of the Russian salad by adding bits of apple, pineapple and anything else you might see fit. 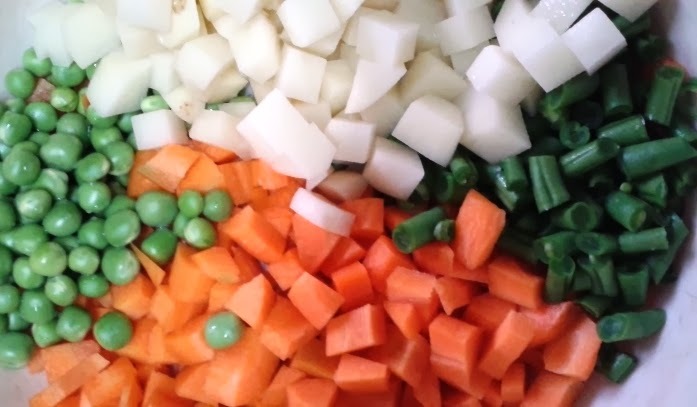 Cut the potatoes, carrots and green beans into 1cm bits or smaller. Boil the veggies with salt and just enough water. For quick home consumption, I put all the veggies together in a pressure cooker and cook on simmer after the first whistle for another three whistles. 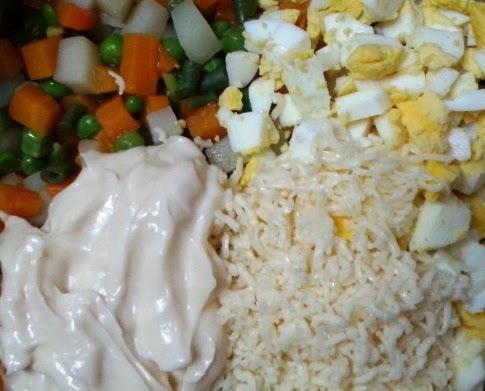 When the veggies have cooled, mix them with the mayonnaise, grated cheese and diced eggs. 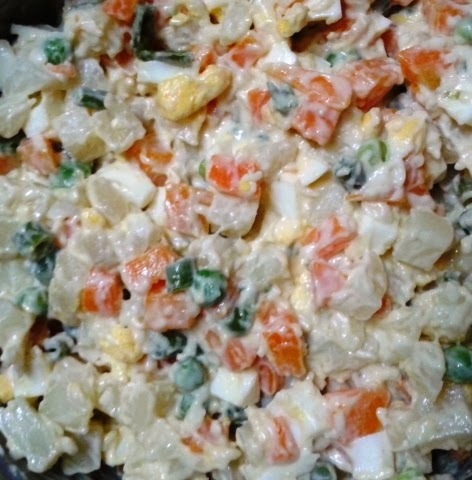 And presto, your Russian salad or canape mix is ready!